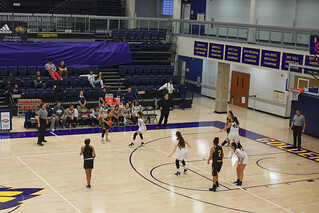 Hello everyone, on January 26, 2019 the West Hills College Lemoore women’s basketball team played against Taft in the golden eagle arena. The game was well played on both parts and fortunately our women’s team gave it their best and secured the win. The final score was 47(Lemoore) to 31(Taft). Audience members showed great spirit and support as they cheered on their favorite team. Everyone is welcome to these events so remember to attend future ones and root for your home team!